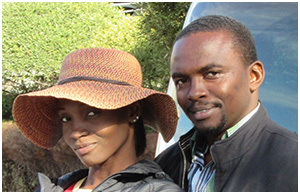 Read Testimonials from our happy travelers. We have been exposed to so many things. By the time we came here, little did we know we are going to reach the peak of our visit to a special resort. 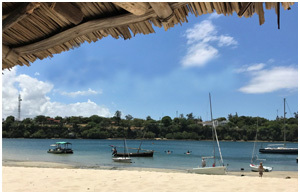 Mnarani is spectacular for one thing… This place is Brilliant, there is nothing that can look like it. I have been to not less than 10 resorts all over the world, but this one is literally the best. The food is delicious. For everything we are fulfilled, we are overwhelmed and indeed flabbergasted. Mnarani goes beyond recommending to my friends. It’s a place not to be forgotten. It was an interesting and memorable experience for me and my Lovely Sweetheart, we enjoyed ourselves to the fullest. Also, the Hotel that we lodged at provided us with delicious meals both Local and Foreign meals including Nigeria Delicacy. The journey to Mnarani Club and Spa started out 1st Nov 2018. My family members and I were so happy and grateful to come on this wonderful journey. 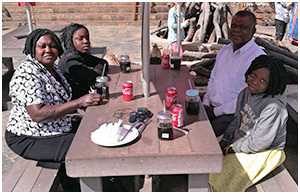 The accommodation, meals and hospitality of the staff was so excellent. I won’t be surprised to undertake another trip in the near future to this beautiful place. Keep up the good Hospitality work. Our holiday experience was beyond our expectation. It was awesome. From check in speed at reception into the accommodation at Lagoon Beach Apartments. The lovely housekeeping staff, the extra ordinary tour guide/host and friend, everything and everyone was awesome and amazing.The lovely housekeeping staff, the extra ordinary tour guide/host and friend, everything and everyone was awesome and amazing. God bless you all abundantly. Thank you so much. We love you all and look forward to our next tour with Nowahala Tours. 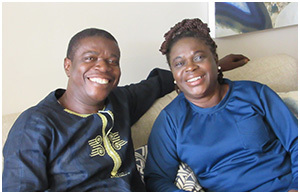 Mr and Mrs Atebije. We well definitely recommend this to friends and family in the future. Thank you to the cleaning staff! Overall it was an excellent choice! 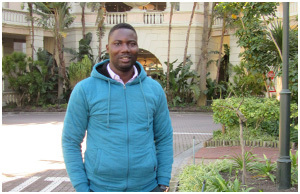 Right from departure in Lagos my reservationist was very helpful. Arrival at Mombasa was awaited by a churfer who took me down to Mnarani Club. The reception at Mnarani Club was homely. The room standard and cooling condition are very satisfactory. The food and service are very good. The daily activities are refreshing. The excursion and Safari and SPA are memorable. 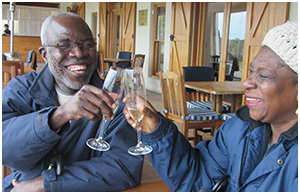 The experience of the holiday in Mnarani Club Kenya can not be forgotten for many years. 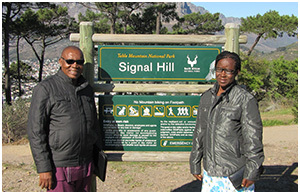 Our holiday in Cape Town, South Africa With my family was a wonderful one. We had the best moments of our lives. 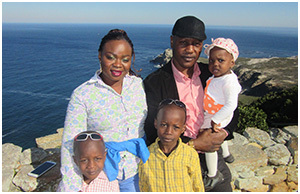 My wife and I came on vacation to Cape Town with our three children. 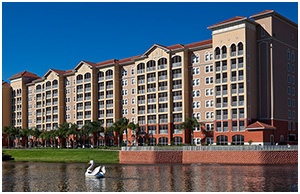 The facilities at the Lagoon Beach Apartments were excellent, best-in-class and adequate. 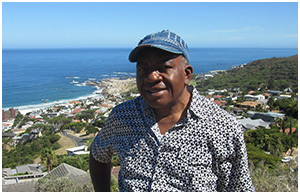 The city of Cape Town is very lovely, beautiful and the residents are friendly and welcoming. Cape Town is a destination that anyone would like to visit again and again. The city can be compared to any major city across the globe. The opportunities around here and the serenity of the city and the diverse nature of people makes it a place where anyone can visit and come of legit business or holiday without fear or hindrance. 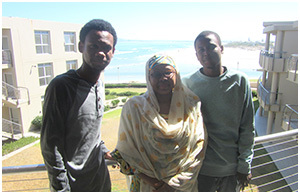 It has been nice being in Cape Town SA with members of my family. We appreciate the class of accommodation offered and making our movement easy. Thank you for the availability of vehicles and for promptness in attendance! Visiting some historical sites in Cape Town has been educative and enlightening. We visited the fortress of the first Dutchman that came to Cape Town. 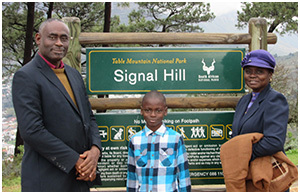 We visited Signal Hill and witnessed the firing of the gun at 12:00 noon, a tradition of the city. 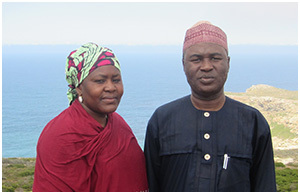 It has been a wonderful holiday experience with myself and my darling wife right from Nigeria. Our holiday experience was splendid! We had a nice tour to Mandela House in Soweto and the historical event of 1976 of student rioters. 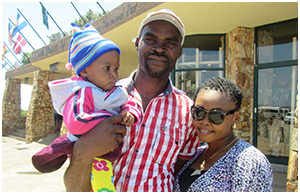 We also enjoyed our tour to Sun City where we met with different people, culture from parts across the globe to top it all, our visit to Pilanesberg Nature Reserve where we viewed different animals in God’s creation. The 2 weeks holiday had been very interesting and very enjoyable. The supporting staff, our tour guide and the house keepers have all been wonderful. 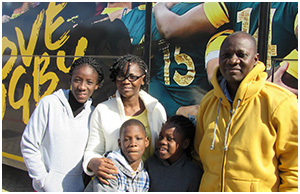 They were really committed to making my family stay in Cape Town a very good experience. 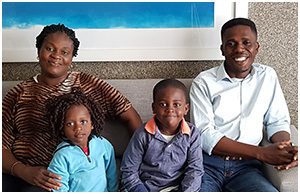 This happened to be our first trip outside Nigeria as a whole family. It was an eye opener for my children to say the least. The prompt reception by our host was awesome. We have had the best of holidays. The reception was warm. The tour guide was very helpful and always available. The manager was also very helpful and gave clear and easy directions. The city of Cape Town is a wonderful place that we will surely re-visit very soon. The accommodation had all we could ask for and all facility was working perfectly. 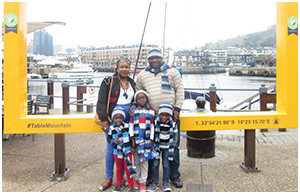 We sincerely thank Nowahala Tours for making the vacation pleasurable for us. We truly enjoyed all the fun places we visited. We had a very wonderful experience of our 3 weeks stay ay Lagoon Beach Apartments. It is a memory that will not go out very soon. Collectively and by God we hope to come back here, God willing in 2019 but April to May to celebrate our 35 years wedding anniversary. The house keeping was just wonderful. 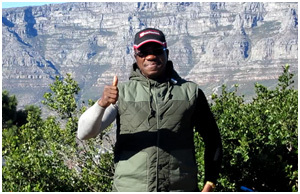 Thank you Nowahala Tours and Cape Town, South Africa. 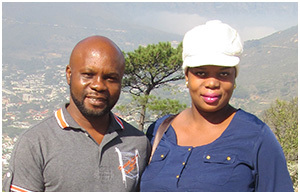 Our holiday at Lagoon Beach Apartments – Cape Town, South Africa was memorable. The beach hotel with all her wonderful staff and facilities were enjoyable. Our apartment was facing the beach and the Ocean directly. We enjoyed the beautiful scenery of the environment. We also took walks along the beach with its unique and beautiful weather. We specifically enjoyed the Canal Walk Shopping Mall with all her numerous shopping facilities. This is our first holiday experience and it’s wonderful. Our pick up was timely, the resort location, particularly our room had a good view of the beach. The welcome lunch was superb. The tours to the V&A Waterfront, Two Oceans Aquarium, Cape Point and the Cape Peninsula tour was an experience we won’t forget in a hurry. 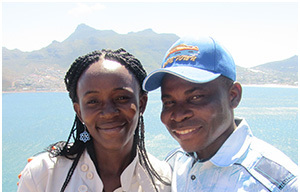 We booked this holiday through Nowahala Tours in Nigeria to spend a week in Cape Town, South Africa. The process of being received from the airport was wonderful. The Apartment was so big we wished that we had brought the kids along. We had a lot of space. The sea view from the apartment was beautiful. You can sit on the balcony and watch the beach and take photos. The location was very good. The city tour was good, going through some of the historic places. The view from Signal Hill was beautiful. The wine tour was excellent and the wine was good. It’s not just about the wine tasting it is also about the history of wine making and the generational ownership. Accommodation is very spacious, well located, well equipped and furnished with all gadgets working. The environment is lovely and accommodating, and looking beautiful. 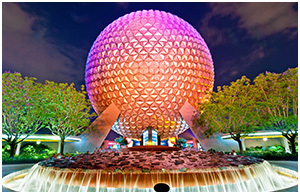 I enjoyed my stay and visited many places like, Coco Beach, Magic World, Disney World and shopping malls. I also enjoyed a boat ride at the Alligator Lake. I tried different foods like crab and steaks and different types of drink. My holiday experience with Nowahala Tours was great in that the accommodation provided for me and my family was so wonderful and highly recommendable. 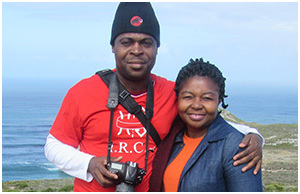 The only tour we went for which is the Cape Point tour is fantastic and memorable, we were able to see the end point of Africa, visualize where the Indian Ocean and the Atlantic Ocean meets at a radius of about 200km. 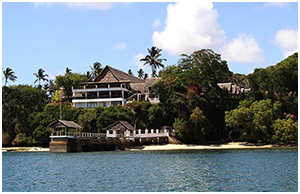 My wife and I traveled to Kenya and spent one week at the Mnarani Club & Spa in March 2015. We where welcomed at the Mombasa International Airport and driven to the resort by Nowahala Tours staff. We enjoyed our stay. The accommodation was good and the environment excellent. The management and staff were very friendly and responded well to our needs. 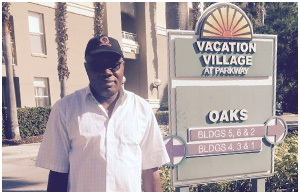 We were able to visit the city and take in the variety of activities in the resort. At the end of our stay we were driven back to the Mombasa Airport for our return going to Nigeria. We recommend the package to anyone who may wish to use it. Dr. Ekpemiro U.C. The holiday experience was wonderful from the moment we met Mr. Wim Orban on arrival to meet Mr. Philip, out tour-guide. We had a safe drive to Cape Point. Drive through the mountain edge and the mountain scape and particularly getting to the light house was an awesome and breathtaking experience. The road network and traffic flow is great. This made the drive around the town easy and good. The visit to the Canal Walk was also really great. It was a one-stop-shopping experience. 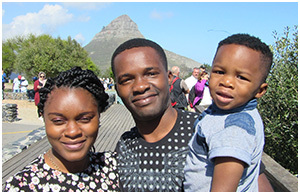 Our one week visit to Cape Town has been an exciting experience and likely to remain a memorable experience for my family. We regret our inability to come along with our two daughters who are children aged 8 and 13 years. 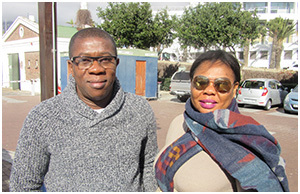 The history of the anti-apartheid struggle was quite revealing, the Two Oceans Aquarium very educative and the Peninsula tour exciting and rich in history of navigating the world. Hospitable people, hospitable services. Very exciting trip and places to visit and shop. 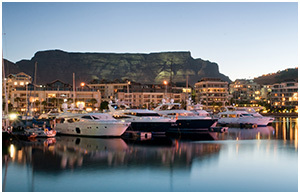 Cape Town remains a pace setter in Africa. Wonderful trip. Orlando is a beautiful and organized city. Lots of tourist sites. 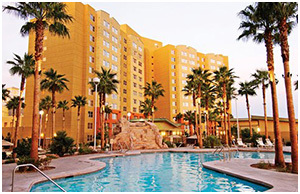 I had a very pleasant holiday at The Grand View, Las Vegas. The resort is excellent. Accommodation was great. Everything that one needs in the room was provided. The receptionists were ready to assist me, whenever I needed their assistance. The resort has a bus shuttle that took us to the grocery and to the town for shopping and that reduced the burden of taking a taxi which was very expensive. They also have an airport shuttle at a very reduced price that took me to the airport. The holiday with my daughter was an interesting one, we had so much fun, we were taken to the Cape Point, where we saw the end of Africa and then to Hout Bay where we had a nice lunch, then we were taken to Canal Walk Mall. It was all a beautiful experience. 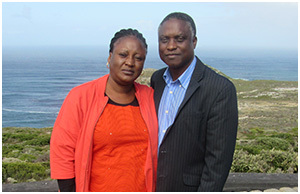 We came in from Lagos and we were warmly received at Cape Town International Airport by our tour guide. Our stay was very memorable and exciting. It provided us an opportunity to have a view of one of the world’s most exciting and beautiful cities. Our tour around the city and visits to come exciting sites was made possible by our tour guide who is an amazing fellow and very amicable. Our vacation was awesome. I was a bit skeptical at the beginning but WOW at the end it was an amazing vacation. We had a whole apartment for me and my boys. 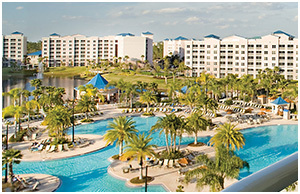 The vacation resort was close to virtually everything. We cooked in our apartment, but still had so many eateries to choose from. 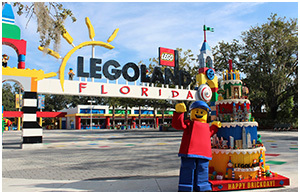 Orlando is a beautiful city full of activities and nice weather. The kids, my wife and I visited quite a number of theme parks. We particularly enjoyed the Harambe Safari in Disney’s Animal Kingdom, Epcot garden railway in the German pavilion and the awesome holy land experience. Cape Town is a really beautiful place to visit. We enjoyed our stay at the Lagoon Beach and the several tourist spots we visited. My tour to Cape Town was very enjoyable. This is the first time of visiting Cape Town in South Africa. I visited many places in Cape Town like the V&A Water Front where I climbed in the cape wheel and had a boat ride which took us around the Atlantic ocean for more than thirty minutes. I visited Table Mountain and saw people flying on parachute down to the Atlantic Ocean. I visited Cape Point about two hours journey from Cape Town where I saw the end of Africa and also where the Indian Ocean and Atlantic Ocean joined together. On coming back from Cape Point we drove a narrow road very close to the Atlantic Ocean for more than thirty minutes down to the bank of the ocean where we took our lunch. My tour guide was very good to me because every place we go he is not tired of explaining everything to me and he is not tired of talking. I wish I will be financially able to visit South Africa again. 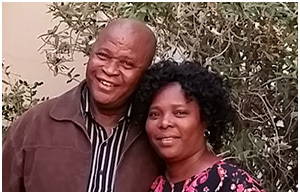 As a first time visitor to South Africa, I had a wonderful time with my wife. The accommodation is beyond my wildest expectation. All things being equal our going to plan for a next visit very soon. Not only that, the scenery of the Lagoon Beach Apartments is breath taking. 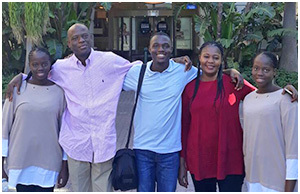 Having traveled on holiday abroad with my family through their package, I make bold to say Nowahala Tours is the best, my family and other friends that I have ever introduce to them have no regret being a member of the organisation, I can vouch for them any day, they are very reliable and trustworthy. It was a fantastic experience! We were so lucky with the weather throughout our stay. The visit to The Two Oceans Aquarium was so lovely. 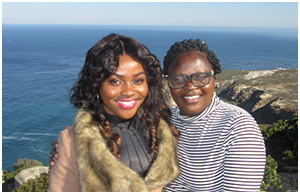 The Cape Point experience was fantastic, we were able to see the beautiful city of Cape Town with her rich historical sites. The Canal Walk shopping mall was another beautiful experience that my family had. 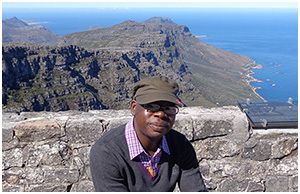 The city tour was superb, more especially with our lovely tour guide in the person of Mr. Philip de Bruyn who took us to all the beautiful sites in Cape Town.